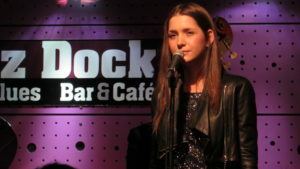 Jazz Dock in Prague hosted their Eurovision Meets Jazz event last Thursday. At this concert, Czech Eurovision 2017 contestant Martina Bárta performed a jazz version of My Turn, along with her favourite jazz songs. The event started at 18:00 with a press conference for the Czech journalists followed by the concert from 21:00 until 23:00. Martina invited some of her Czech friends and singers just as Petr Kutheil or Felix Slováček Jr., but the biggest guest star was Kasia Moś from Poland. At 21:00 the Eurovision Meets Jazz concert begun and Martina performed some of her favourite jazz songs with her sister Kristina Bárta and her Jazz Trio. 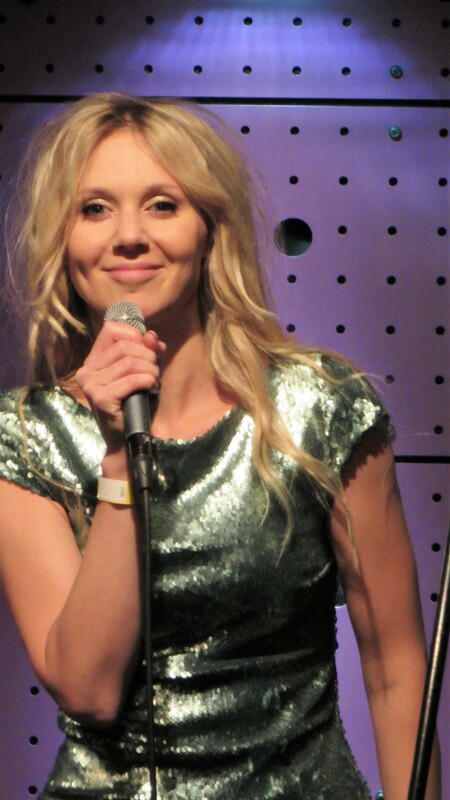 Kasia sang two popular songs and also her Eurovision entry. Martina also did the jazz version of My Turn, which you can hear in the video below. The other guests were singers Petr Kutheil and Felix Slováček jr., as well as few other jazz musicians. From the most interesting songs, Petr and Martina sang Czech version of popular jazz/swing song Baby It’s Cold Outside. It was funny as the weather was actually really cold. After the concert, both Kasia and Martina were available to signing and photo shooting with Czech fans. The press conference was hosted by one of the most famous Czech hosts Libor Bouček. He was also the commentator of Eurovision Song Contest in the Czech Television last year and will continue also in 2017. Libor is not only a host and commentator but also a well-known voice-over and dubbing actor and a big Eurovision Song Contes fan. His experience from Stockholm assured him in this position. 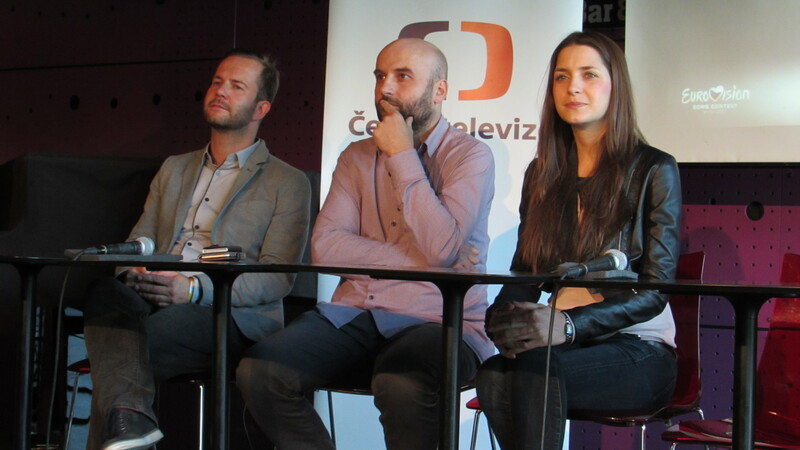 He always tries to get as much relevant information as possible and doesn’t hesitate to ask Czech Eurovision fans. At the press conference, there were six people. The biggest stars were Martina Bárta and Kasia Moś. Head of Czech delegation Jan Bors, the Executive producer for Czech Eurovision team Jan Potměšil and Viktor Průša, the Manager of the Musical center from the Czech Television took part in the press conference. The biggest surprise was Czech model and host Radka Rosická. She is a new member of the delegation and she will be the new Czech spokesperson in the Grand Final on 13th May. She will replace Czech news host Daniela Písařovicová who was in this position during the last two years. Jan Potměšil shortly introduced Eurovision and Libor also add his point of view as the Czech Republic and its journalists still have a lot to learn about Eurovision and Czech Television tries very hard to change this in the last years. Some new information about the selection process were mentioned. Czech Television wanted famous singer Dasha to take part in the internal selection, but Martin Kumžák, the bandleader of Moondance Orchestra where Dasha sings, didn’t let her do it and proposed Martina instead. Martin was also one of the jurors in the internal selection. The Czech team continues the collaboration with Slovenian director Uroš Trefalt, who made both videos for last year’s I Stand and this year’s My Turn. New members of the production team are Lukáš Veverka and Marek Opatrný, who are graphic and editor. Both of them were awarded by the movie awards Czech Lion in March 2017. The costume designer is Zoltán Tóth and according to Czech delegation, we have a lot to be looking for in Kyiv. Libor made us laugh when he told that their goal is to be the runner-ups. Martina was a little bit more realistic and expressed her wish to qualify. She has a great team behind her and they do thei best. Martina also hopes that the image of Eurovision in the Czech Republic will become better. She knows how positively her German fans reacted to her participation. She got positive messages from all over the world and it is Martina’s mom who is watching the reactions on social media more than Martina herself. Radka Rosická is the wife of Tomáš Rosický who is a famous Czech football player. She was celebrating her birthday on the day of the press conference. Radka doesn’t think about those millions of viewers who will see her in the Grand Final. She thinks instead that there is only a few people watching. Radka didn’t know Martina before and she heard My Turn in a random YouTube playlist. She was attracted by the song and listened to it repeatedly and afterwards the offer from Czech Television came. Jan Bors shared his positive emotions about the Swedish-Ukrainian production team behind Eurovision 2017. When asked for some details about the staging in Kyiv, he couldn’t reveal much. He told that it should be effective and soft, without dancers, but some people will be there present in some form. We should expect similar theme as the one in the official video. 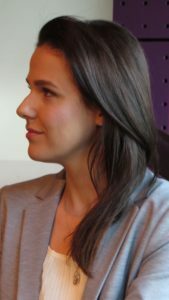 Kasia Moś told that she has a close connection with Martina because they both have the same songwriter – Pete Barringer. She already participated twice in Polish national final before she won this year for the third time. Her song Flashlight is dedicated to human and animal freedom. Kasia is also a vegetarian and she uses animals in her song presentation. In the national final, she had birds, but there will be more species in Kyiv. Her brother who is a violinist will join her again on the stage in Kyiv. Kasia also hopes she will qualify but expressed her worries as both Czech Republic and Poland is in a very difficult semifinal. Below you can watch Martina Bárta answer 5 Would You Rather questions, and sing a good part of her song – acoustically.